After last month’s half marathon I set a goal to run my fastest 5k at this year’s Cold Winter’s Day 5k in Columbia, SC. I love setting stretch goals and after last year’s PR I knew it would be tough. I am happy to tell you I met my goal and set a new personal best record. My past month’s goals and training turned into much more than I ever expected. I was able to share my love of the sport of running with my family. We have participated in several 5k road races together over the past couple of years, but this one was different. My “I’m not-a-runner” wife, Katie, has been training hard and was actually looking forward to this race as much as me. Of course I was pleased when I reached my goal and set a new record, but I was even more pleased when Katie shaved 3:00 minutes off her previous best time. It was great to see her actually enjoy the event and reach her own personal goals. She might even consider calling herself a "runner" soon. In addition to my wife’s success, I got to celebrate my middle son’s achievement of 2nd place in his 10 & under age group, my youngest son’s exceptional finish and I was able to share the podium with my neighbor as we took 2nd and 3rd in our age group. I am a proud husband, dad and neighbor! Take action, share your passion, provide support, and create positive change! I hope each of you have a Very Merry Christmas and enjoy this time with your family and friends. As our first 9 week fitness “blog” venture comes to a close I am excited about what we will achieve in the coming year. Thank you for reading and checking in weekly to read my updates. I would love to hear about your fitness successes and struggles so please reach out to me and let’s discuss how you can create new healthy habits in 2013. I have been busy working on the Tri Fit Solutions business plan (workout plans, marketing plans and fitness education). I love working with clients of all fitness levels with goals ranging from weight loss to peak race performance. My niche focus is on gaining and improving your fitness level so you can complete your first triathlon or improve on your best time in a triathlon race of all distances. As a newly certified personal trainer I want to bring a unique approach to triathlon training. My individualized focused training plan and NASM OPT fitness program is the first of its kind in Columbia, SC. Take this week to evaluate your goals including your strengths and weaknesses. After the first of the year I challenge you to set new goals and create a plan to achieve them. The first step in making fitness a part of your routine is to take action. As your personal trainer I can help you create a customized plan to reach your goals. - Create 3 swim drill videos and upload to my YouTube page. As many of you may already know from my earlier blog post I spent a weekend back in September to become certified as a Les Mills RPM spin instructor. As I got further into this I realized it was not just a long tough weekend it was much more than that. Les Mills programs are successful because of their process and their quality control. It's been a challenge to balance this with family and work. I had to file for an extension on my final video submission which was due November 16th and took a short break from learning release 56 so I could examine my purpose and goals. I had until December 21st to submit my video with my extension request or I would have to re-enroll in a new class and start from scratch. I filmed yesterday and finally submitted my video and have now co-taught 4 classes and 4 classes on my own :-). I made several mistakes on the video, but hope it was good enough to move to the next level. 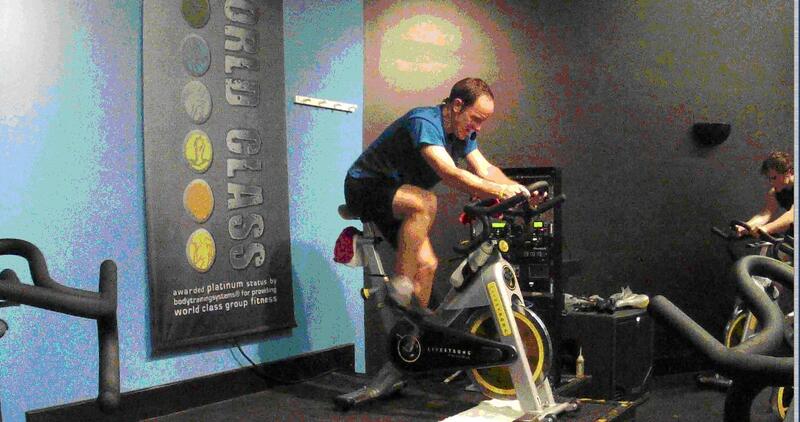 It is becoming more natural and I love motivating people to push hard and experience the magic of an RPM class. Below are a few action shots of me teaching at the Gold's Gym in Forest Acres. I will keep you posted once I am on the regular schedule and not just a "substitute" so you can come experience it for yourself and help me fill the class. Come get in shape and reach your goals! I would also like to mention what a great group of people I met during this process. All of them with similar goals and passion for fitness. I am very blessed to be a part of this group. **A special thanks to David, Brenda, Dan, Margaret, Courtney and Todd for all of your support. I look forward to the ride :-). This week we will focus on habits. Breaking bad ones and creating good ones. First let’s identify the habits we want to keep in our daily routine: going to bed early, drinking lots of water, and knocking out 5 cardio workouts each week. What? These are not your habits? Now is a great time to begin making these your habits. When I kicked off this 9 week fitness blog my goal was to engage you to check in weekly for a little motivation and a little direction. I am here to help you reach your fitness, health & wellness goals. Make it about the journey, focus on your goals and have faith. Pick three bad habits and three good habits to focus your energy on this week. Keep track of the number of times you act on these habits and write them in your fitness journal. You will better understand your weaknesses and strengths so you can set new goals and reach new levels in 2013. Let’s take a quick look at our 9 week fitness journey… After all it is about the journey. You are well on your way to better fitness and reaching your goals. This week’s focus is on Intensity. Intensity is essential to creating change. Thanks for following my weekly advice – Keep up the great work. If you are ready to turn up the intensity and not sure how, please reach out to me so we can implement a personalized training plan. Take Action Today – Don’t wait until the New Year. Week 6: Balance...Need I Say More? Working on your core strength and flexibility is a great way to build a foundation for building great fitness. Yoga would be a great activity to incorporate into your weekly schedule. Many yoga positions focus on balance and will provide great benefit to reduce injury, aches and pains. If you cannot participate in a yoga class don’t let that keep you from working on your basic core strength and flexibility. You can incorporate this into every workout. You can work on balance in your workouts in more ways than you may think. Beginning with some light stretching and warm-up exercises and ending with a cool down and light stretching is a great way to balance out your workout. Each week you can not only balance your individual workouts but your weekly workouts as well. Make sure you mix up your daily exercise routines to help create a balanced full body workout. Exercise is no different than anything else in life so overuse can cause problems and you should always practice moderation. In regards to balance, balance in your life this is the most important take away this week. Spend some time this week focused on finding balance in your personal, professional, physical, and mental life. I wish I could tell you I was an expert in this, but instead I will tell you to practice what I preach not what I do J.
Hopefully you are wrapping up week 4 well rested and energized from Thanksgiving. We will be focused on embracing change and mixing up our routine this coming week. I will share a great 9 minute HIIT, High Intensity Interval Training, circuit routine with you that you will want to incorporate into your weekly schedule. We will also review several ways to help you from "getting bored" with your workout routine. The OPT model creates a natural muscle confusion program which helps burn more fat and generates better results. If you are board with your routine and want to discuss a custom plan please give me a call so we can schedule a time to review and create a new plan that will better help you reach your goals. I am thankful for you, my readers. Today is a special day in our 9 week program. Today's focus: Family & Food. Enjoy all the great food and don't stress over a few extra calories. While visiting with friends and family be active: take a walk, toss a ball, hike a trail, challenge your family to a soccer or football game in the yard. We will get right back to our program tomorrow so enjoy the day. The timing of this topic could not be better. I am way behind on my sleep and can feel the effects. My focus, creativity, and energy are low. My stress and appetite are high. I always struggle with getting 8 hours of sleep a night and usually shoot for 6 if I can squeeze that in. Even though Thanksgiving is this week and the Holidays are just around the corner I am making an extra effort to get more sleep. We all know how important sleep is, but do not make it a priority in our day. I am challenging myself and you to get to bed 10 minutes earlier each night for the next 6 nights then hold that bed time so you can have an extra hour of sleep each day. My personal October fitness plan was focused on increasing my running distance to prepare for the 40th anniversary Governor’s Cup half-marathon in Columbia, SC on November 3rd. In 2010 I placed 3rd in my age group and I was able to finish 2nd last year so I set my goal to WIN my age group this year. I aggressively worked on my interval training and continued to cross-train to help prevent injury. On the morning of the race I was feeling good and took off at record pace. It was my record pace for even a 1 mile run so I settled in on a better pace until the final mile. I was confident no one in my age group was ahead of me and my mind was telling me to slow down. I could barely hold my pace. In the final 100 yards of the race I was passed by two guys and I was pretty sure neither looked my age so I held my pace. 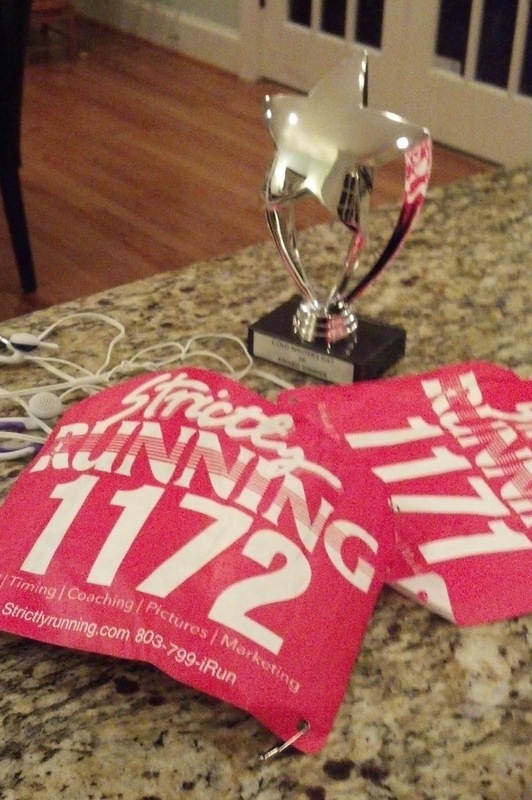 Boy was I was wrong… I finished second in my age group again. I was still very pleased as I set a personal record and although I got passed at the end, I gave it my all and did not have any reserves. I learned two important lessons from this race: One, I must learn to pace myself better from the start and two I am not as young as I think I am. That “older” guy who passed me was my exact age. I am now creating a plan to reach a “stretch” goal in the Cold Winter’s Day 5k to beat my high school cross country PR and am helping my wife train for her first half-marathon in early 2013. Set backs and disappointments should be a part of your plan. Not really, but you should be ready for them so they do not derail you from your course. Sickness, busy schedules, too tired, poor food choices, overindulging, you name it and we have all been there. The trick to overcome these set backs is to remember that they are just that, a little set back. With the right mindset you can overcome these and reach your goals. Hopefully you are on week 3 of working toward your health & wellness plan with me. If you have not started or have had a set back take this week to evaluate your goals and get back on track. Back to the Basics: Eat fewer calories than you burn. Set some realistic goals, reach them. Set more goals. Repeat! Week 3 Fitness Plan: 1. Schedule 150 minutes of moderate to vigorous cardio exercise. 2. Incorporate 5 minutes each for your version of push-ups, pull-ups, and sit-ups. Stay tuned for more tips and please feel free to reach out to me for a personalized plan or if you have any questions. I will keep this week’s message short and sweet. The holidays are approaching quickly so let’s get ahead of them and focus on our diet. If you have not already started tracking what you are eating and drinking do so this week. Even if you think that you will not keep a food log for the long haul give it a go for a week or so. It will help you identify where you can cut calories and where you are adding empty calories. I am not a registered dietician nor certified in nutrition (at least not yet) so I will keep this to the basics and if you want more diet information please find someone who is licensed or certified near you to get more details on what is right for you. My main goal today is to motivate you make the right food choices and reduce your calorie intake wisely. Check out the link on side of page to the intake recommendations put together by the USDA. There are recommended daily allowances with daily calorie estimates and some recommended foods to add to your diet. Eat Smart, Stay Active & Have Fun! I just completed the first step of the Les Mills RPM training program this past weekend and am here to tell you I learned a lot more than how to ride or how to teach others to ride a stationary bike. I learned how to create life-changing fitness experiences. 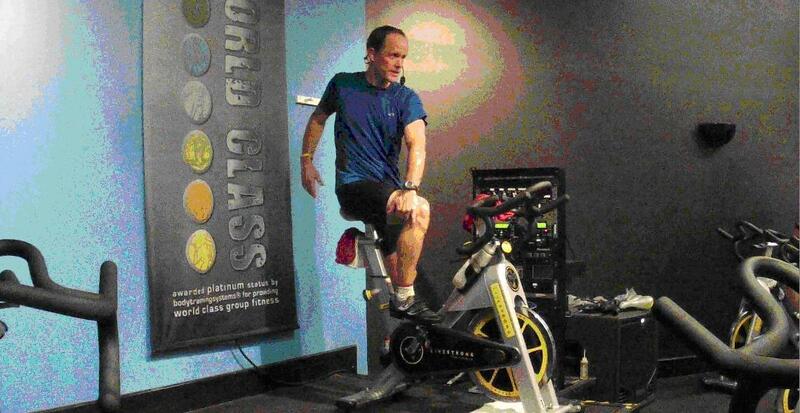 I have been participating in RPM spin classes for a little over a year and a half and have really enjoyed the experience, but had no idea how much thought and preparation went into these workouts. When I heard there was local training I quickly jumped on the band wagon to get into this training. I had no idea what I was about to put myself through. I’ve been through a lot of training for many different things and this was definitely one of the most difficult and rewarding both mentally and physically. So, I set a goal to take and pass this first level of the Les Mills training. It never even occurred to me that I had to learn the choreography, technical lingo, positions, pace, and coaching skills in a matter of a few days. It was intense. I enjoyed the challenge and had to keep my chin up (a positive attitude is critical). I have not been that physically and mentally challenged before and I loved it. It reminded me of just how important it is to step outside of your comfort zone on occasion and try new things. The skills I learned and practiced this past weekend are transferable to so many parts of my life. It is amazing how a little group fitness class can truly create such positive energy and motivation. I want to share the experience with everyone and although I know only a few will read this post I do hope to inspire many in my RPM classes once I am fully certified. I will keep you posted on when and where I am teaching once I am given the green light. Set a goal, challenge yourself, keep a positive attitude. Three months ago while travelling for work in Raleigh, NC I found a local fitness publication at the hotel that caught my eye. Like most travelling salespeople I usually grab the USA Today, but this trip I grabbed this local publication and was intrigued by all of the races coming up in North Carolina. I love signing up for an event whether a run, bike, or triathlon every few months and there was an ad for the Hickory Nut Olympiad (http://hickorynutolympiad.com) which had a full weekend of events for all ages and interests. I was sold. I signed up that week for the Sprint Triathlon and put it on the calendar. I enjoy training and working toward getting a PR (personal record) or placing in my age group. I always set a goal to shoot for and then just do my best. I wanted to participate in one event each day of the Olympiad, but knew that our family schedule may not permit. It turns out my oldest son had a soccer tournament the same weekend so I skipped the 25 mile bike ride Sunday to the top of Chimney Rock so that I could attend his final day of games . I did however arrive Friday night in time to sign up for the 10k Dam Run which started at 7pm. As with many races I started out way too fast and before I realized it I was half way through the run and still feeling great. I pushed through and quickly knew that I was looking at a PR. I caught the group in front of me and did my best to hang on until the end. I finished several minutes better than any previous 10k and was shocked that I performed so well despite all of the hills. I was feeling great going into the weekend. When I woke up the next morning to my 5:30 alarm I was feeling the effects of my PR from the night before and knew it was going to be tough day in the mountains. I had a tough swim, felt great on the bike and was completely spent on the run. I pushed through the pain and was very pleased with my overall accomplishment, but I did not earn a PR or age group win. I did love the challenge and the beautiful views during the race. This venue was absolutely amazing and I hope to have my family and friends with me next year to enjoy this amazing weekend together. I would encourage all of you to find an event near you, set some goals, train smart, and enjoy the challenge. 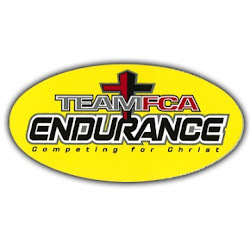 I have been busy working on a logo to capture my vision of helping others find their Focus, Fitness and Faith. I do love training and competing in triathlons and want to share my love of this sport with others, but more importantly I want to help others find happiness. The more I dig into why and how I want to help people the more I realize there is so much more to getting in shape and reaching temporary fitness goals. I believe we all must reflect on what we really want and why? It is so easy to get side tracked and to focus on the wrong things for the wrong reasons. Although my mission statement is still work in progress I am committed to help others mentally, physically and spiritually. I want to make a difference with my abilities and skills that will transform lives and provide a better future for others, their families and our world. I believe if we strive for balance in our lives we can accomplish great things. My Mission: "To help others reach their health and wellness goals with a well established plan that includes focus, fitness & faith. I believe we can all make a difference and find happiness when our intentions are pure and goals realistic. A good friend shared the below scripture with me while cycling and I found it helpful in my quest. If you are like me you need a goal to shoot for and signing up for a run, ride or tri always kicks things up a notch. 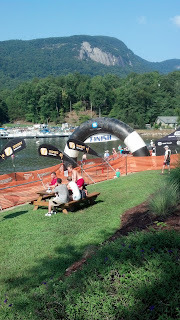 I recently signed up for the Sprint Triathlon at Lake Lure, NC and hope to squeeze in the 10k run and bike ride to the top of Chimney Rock if I can still make it to my son's soccer tournament. Check out their site for more details at www.hickorynutolympiad.com I have never participated but it looks like a great event. If you are not near Western NC - find an event near you, sign up and set a goal. Finish, Break PR, Win age group, or any other goal as long as you set one. If you have not been training you will need to pick an event at least 16 weeks or so out and start working your way toward your goal. It's official. I am certified as a personal trainer. After a long 6 months of studying the National Academy of Sports Medicine personal training curriculum and applying the OPT "Optimum Performance Training" model of integrated phased training I finally took and passed the exam. I am excited to share my knowledge and passion for heath to help my clients reach their goals. I have some organizing and planning to do myself, but hope to post some helpful tips and ideas regularly. Please contact me if I can help create a customized plan to help you reach your goals. Tri Fit Solutions mission: "To help my clients reach their health and wellness goals with a well established plan". Welcome to my new Fitness & Wellness blog. I just renewed my American Heart Association CPR/AED certification and am studing for the NASM CPT exam as well as my Level 3 USA Cycling Coach exam. I am commited to provide personal training and wellness coaching to anyone interested in setting health and wellness goals. My personal mission is to provide a simple plan and motivation for individuals that are interested in improving thier physical fitness and overall wellness. I will offer personalized fitness plans using NASMs OPT model, Optimum Performance Training. In addition to general fitness goals I have a passion for sharing techniques and performance enhancement techniques for triathletes, runners and cyclist. Thanks for visiting my new blog.